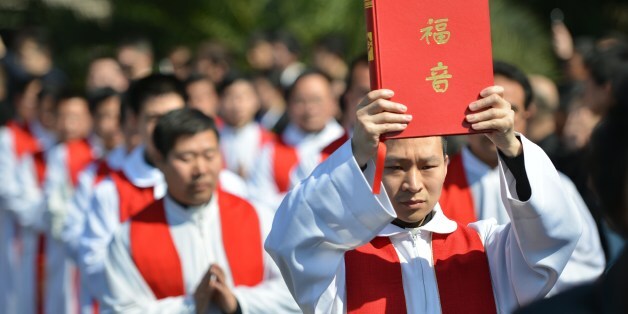 There is a documented hunger for (and a burgeoning of) the Christian faith inside China today. And that has become a most inconvenient truth for the country’s “President for Life” Xi Jinping. 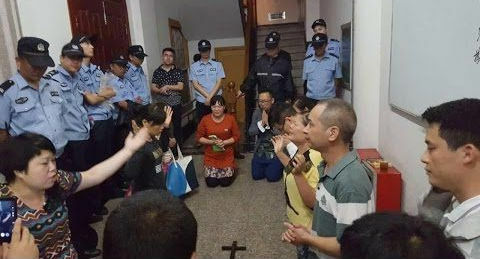 His actions against the Chinese Church are moving from harassment, to intimidation, and on to persecution, all in the name of collectivist, statist absolutism. Xi understands quite well that he will not be able to eliminate the worship of God, as he might wish. Christianity has, after all, been in China for over 1400 years now, and his “glorious” Revolution isn’t even 70 years old. From his position of power, therefore, his plan appears to be to force Christianity to incorporate and teach his own set of values — “Christianity with Chinese Characteristics,” it has been called. Teachers and soldiers are forbidden to become Christians. Priests are forbidden to pray for the sick and dying in hospitals, and patients are not allowed to pray or read the Bible. Christians are banned from traveling abroad for religious purposes, and they are forbidden from taking teaching positions outside the country. There are strict bans against the wave of underground churches which are thriving throughout the country. Raids on these churches have brought hundreds of arrests and imprisonments. Witnesses described one female church official being pushed into the back of a patrol car, being slapped across her face, and being grabbed by the scruff of her neck. And as if all of the above restrictions on people and their activities weren’t enough, a recent order from the Central Government threatened that “if unregistered churches are not willing to be managed by the government or guided by China Christian Council, the government shall guide and transform their thoughts.” This new trend of taking a hard line on “extreme religious thoughts” and “external influences” conjures images of “thought police” and inquisitions. 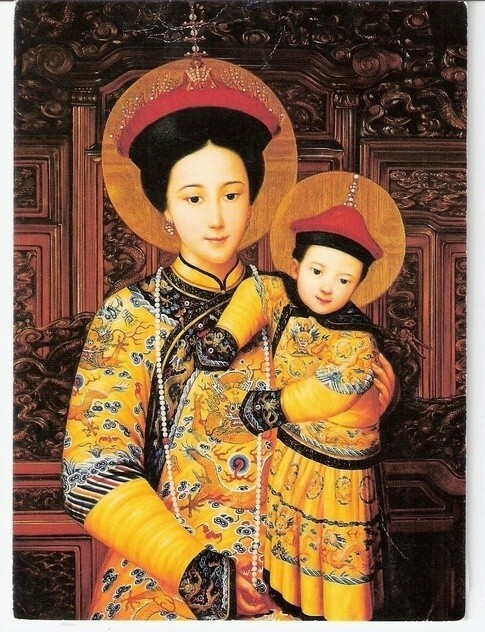 And it’s being sold to the Chinese people and the world in the (seemingly) harmless name of “Christianity with Chinese Characteristics.” Notice the beautiful modern painting (in an ancient style) of the Madonna and Child, dressed in Qing Dynasty robes — “Chinese characteristics” indeed. After all, in our art galleries we see that Western Renaissance artists painted Biblical characters wearing 16th-century clothing. Really, we nod knowingly, how bad can that be? But, no, that’s not what Xi has in mind. We saw something similar to what Xi has in mind four decades ago. In 1978, leader Deng Xiaoping recognized the need to allow markets to inspire and produce strong economic growth, as had happened universally in Free Market, Free Enterprise, Limited Government, Capitalist economies throughout the world. Unwilling to give up the centralized power and control that China’s brand of Communism afforded, Deng labeled his Western-style reforms “Socialism with Chinese Characteristics.” The markets worked, the Chinese economy took off, but Socialist-style central planning kept its thumb firmly on the process. The tyrant’s creed: If you cannot defeat it, change how you name it, and fight heresy as you define it. God will, of course, dispense His grace and implement His plan anywhere He wills (Exodus 33:19; Romans 9:15). But you must understand that the current leadership in China fears Christianity, which teaches that God deserves His followers’ highest loyalty and most fervent worship — above and beyond any human or humanistic governmental system. The Central Government will fight (with force) any and every effort for God’s truth to be preached and believed in China. 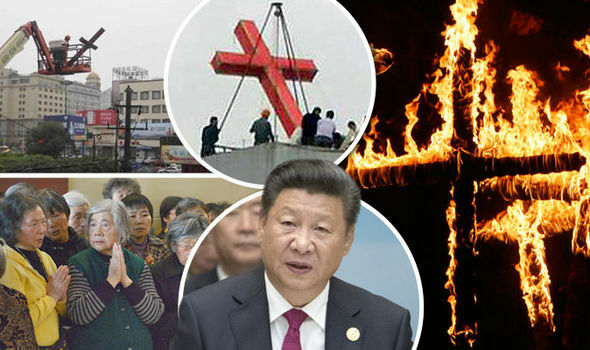 We are seeing the beginning of a very hard and systemic tribulation for our Chinese brothers and sisters in Christ. 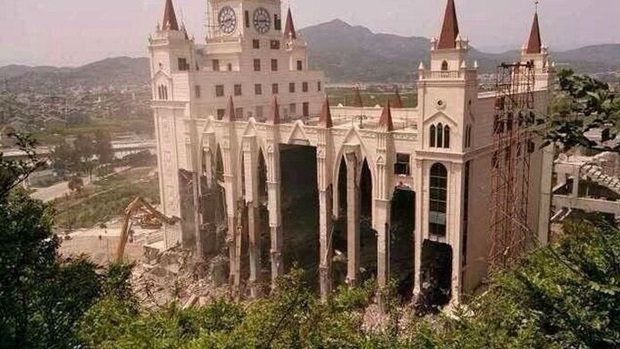 Follow this in the press, discuss it with your pastors, and pray for the Christians’ protection from persecution in China. As important in the overall scheme of things as Xi believes himself to be, 3000 years ago a writer of Psalms described people like him and foretold their fate perfectly. Here is Psalm 2, showing on the left side who is speaking in each section. Psalmist: So now, kings, be wise; receive instruction, you judges of the earth. Serve Yahweh with reverential awe and rejoice with trembling. Pay homage to the Son or He will be angry and you will perish in your rebellion, for His anger may ignite at any moment. All those who take refuge in Him are happy. 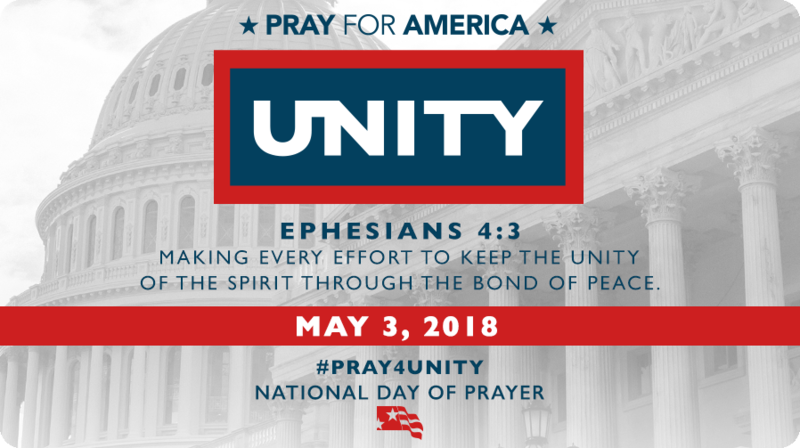 Today is America’s annual National Day of Prayer. In other words: “Be humble, seek God through prayer, and stop sinning as a Nation” is promised to bring personal forgiveness and national blessings. Looking around at the state of our country today, I think it’s about time we took the God of Abraham, Isaac, and Jacob up on that promise. The National Day of Prayer was created in 1952 by a joint resolution of Congress, and signed into law by President Harry S Truman. In 1988, the law was unanimously amended by both the House and the Senate and signed into law by President Ronald Reagan on Thursday, May 5, 1988, designating the first Thursday of May as a day of national prayer. We praise You for Your goodness to our nation, giving us blessings far beyond what we deserve. Yet we know all is not right with America. We deeply need a moral and spiritual renewal to help us meet the many problems we face. Convict us of sin. Help us to turn to You in repentance and faith. Set our feet on the path of Your righteousness and peace. We pray today for our nation’s leaders. Give them the wisdom to know what is right, and the courage to do it. You have said, “Blessed is the nation whose God is the Lord.” May this be a new era for America, as we humble ourselves and acknowledge You alone as our Savior and Lord. This we pray in Your holy name, Amen. 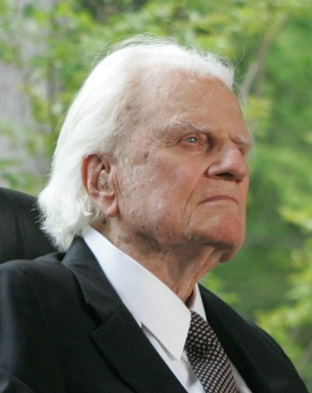 Today we learned of the death of Billy Graham, lauded by many as the greatest Christian preacher of the 20th century. He died at his home in Montreat, located in the beautiful moutains of North Carolina. During the many decades of his evangelizing around the globe, broadcasting in all media, authoring books, and being the unofficial “Pastor to the Presidents,” his effect on the spiritual life of the entire world was incalculable. Never afraid to hold up a mirror to sin, Graham unabashedly and fiercely called everyone to repentance. From the church pulpit or the podium inside a 50,000-seat coliseum or in city streets and parks, he had a powerful and polished speaking style, to say the least. He was able to bring emotions up to peaks of joy and expectation of God’s love, and take them down to the burning conviction of our own sins. Tears were common at his revivals, even from seemingly tough, steel-hardened men of the earth and the factories. When Mr. Graham believed that the audience had been fully convicted of their need for repentance and salvation, he would invariably issue an altar call, which usually brought huge numbers of penitents and converts. But any outsiders looking into one of these arenas (or viewing a television broadcast, appropriately titled The Hour of Decision) would be totally in error to conclude that Mr. Graham’s ministry comprised only emotion and fervor. Anyone reading printed transcriptions of his sermons would immediately conclude they were theologically as well as logically sound, based on doctrines straight from Christian orthodoxy. His emphasis was always on examining oneself, the act of repenting, accepting the saving grace of God, and living a life in which one’s relationship with God is the most important thing in the universe. We come before you today to ask your forgiveness and to seek your direction and guidance. Mr. Graham lived the Christ-centered doctrines of love, repentance, and forgiveness that he preached. He told it like it was, even before that became a thing. And he was uncompromising in his Christian views on even the most controversial topics. 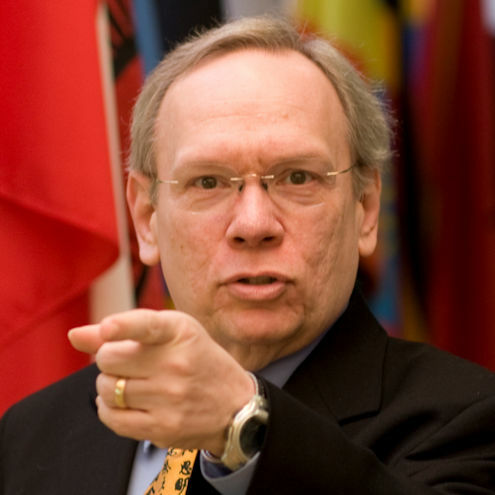 A prime example was his early stand on issues related to the country’s racial problem. This morning, Mr. Graham joined all of “those who sleep in death” awaiting the Resurrection to eternal life as Paul described it throughout his writings. 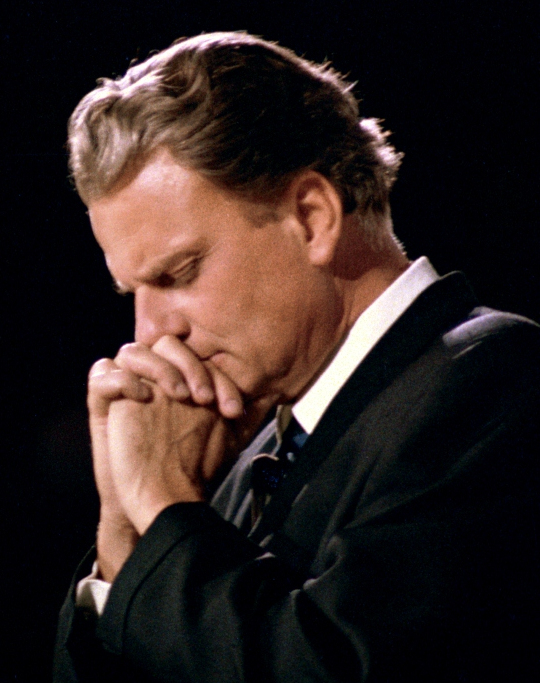 * Though parted from this life, this great modern evangelist has left a legacy of preaching total submission to God, abject repentance for sins, undeniable certainty of God’s grace and our need for forgiveness, constant service to our brothers and sisters, and the daily calling to mirror God’s love to the world. We need that today perhaps more than ever. PHOTO CREDITS: (TOP) CHRISTIANITY TODAY; (MIDDLE) BILLY GRAHAM EVANGELISTIC ASSOC. ; (BOTTOM) BILLY GRAHAM EVANGELISTIC ASSOC. VIDEO CREDIT: BILLY GRAHAM EVANGESLTIC ASSOC. 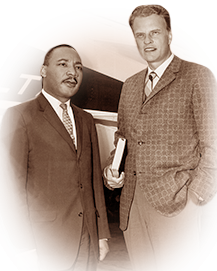 Tags: Billy Graham, Billy Graham Evangelistic Association, Martin Luther King Jr.